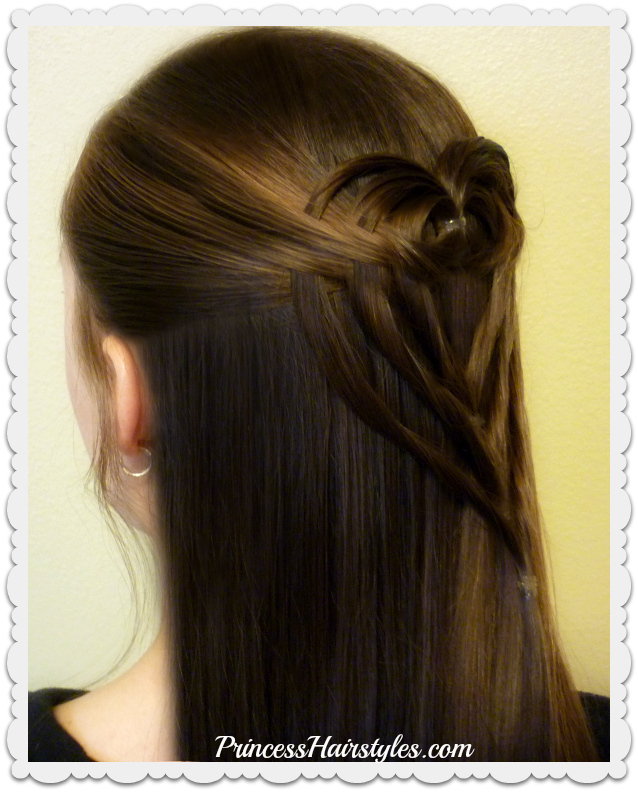 A cute and easy half up heart hairstyle, perfect for Valentines Day! We love that this triple tuck heart is a little more grown up for teens and women to wear, as well as for little girls of course. This adorable heart style was inspired by a photo we saw on Instagram by "Pr3ttygirl79." 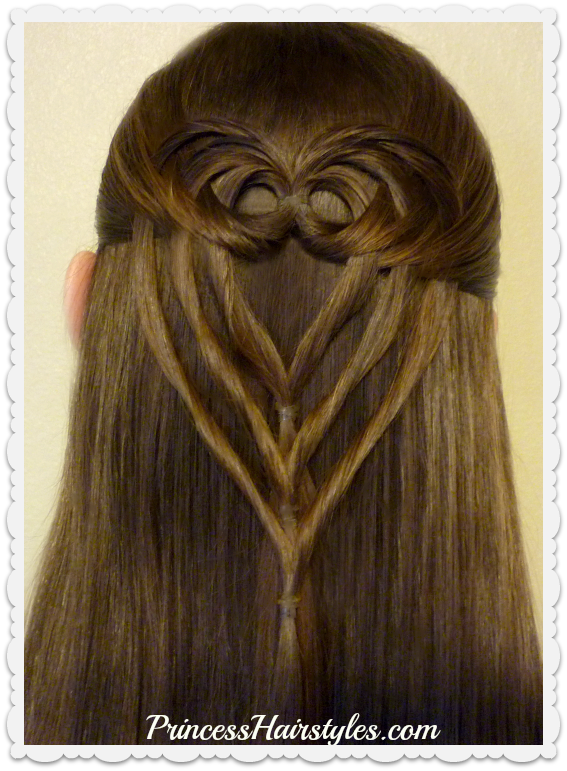 This heart design was created using a simple flip and twist technique which we have used many times before in our heart hairstyles. But the way the 3 strands are stacked and tucked into the half ponytail is what makes this style unique! I love the woven look the "tucking" creates. So pretty. The best part? No braiding required! The tool we used to bring the sections through is called a "topsy tail" (affiliate.) As annotated in our video tutorial, you will want to stagger where you are pulling the strands through to keep the sections separate. If you do not have a topsy tail, you could use your fingers. Hair product to help with flyaways. 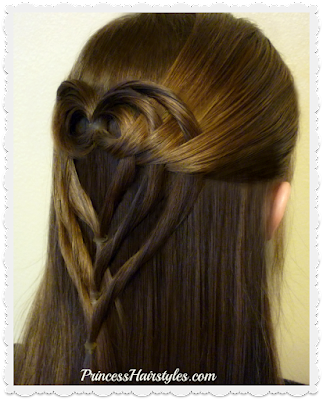 Obviously this hairstyle would be cute for Valentine's Day, but could also be worn for other events. I'm thinking this would be adorable for a wedding (flower girls, bridesmaids, etc.) This would also be cute for a school dance, Prom, Homecoming, communion or other special occasions.